I don’t know what it is about mushrooms, but fungi and video games go together like peanut butter and jelly…just ask Mario the plumber. Video games and mushrooms are a natural combination, so I was intrigued to see how Mushroomers would play out. In certain European countries picking mushrooms is the perfect hobby for those who wish to escape the hustle and bustle of big cities and enjoy the peace and quiet of the forests. It’s a popular pastime in New England and the Pacific Northwest as well. Some people call mushrooming “the quiet hunt,” and Mushroomers captures that experience well. 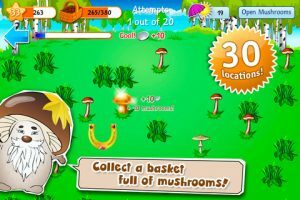 There are 30 locations in the game where you can forage for virtual mushrooms, each of which is slowly unlocked as you progress through various challenges. 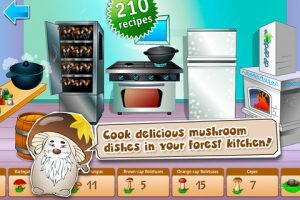 After you find a pile of mushrooms, you can cook them in your kitchen to increase your cash. That cash, in turn, can help you buy mushroom hunting tools like a dowsing rod or thermos. There are 40 achievements in all that you can pursue. The sound design does a lot to promote the soothing, simple pleasures of mushroom hunting. There are nature sounds in the various forest areas, as well as a charming little tune that plays when you are in your kitchen roasting, pickling, or drying mushrooms. If you like puzzles or action in your iPhone games, look elsewhere. But if you crave a simple game to unwind at the end of the day, Mushroomers is a sweet little title. 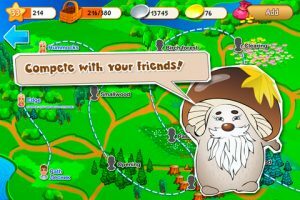 While some bits could have been better translated, Mushroomers is overall a very enjoyable, casual title to explore. 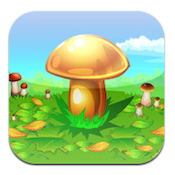 Mushroomeris compatible with iPhone, iPod touch, and iPad. Requires iOS 4.3 or later.